• Launcher fairway woods feature a maraging steel face. • Maraging steel is identifiable for its high strength to weight ratio. • This means a lighter, thinner face which serves to maximize distance. 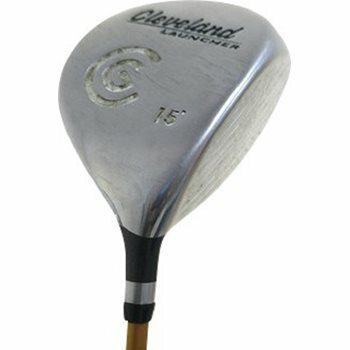 • Lightweight material in the face allows Cleveland engineers to create a deeper face which translates into a larger effective hitting area. • Traditional pear shaped head.